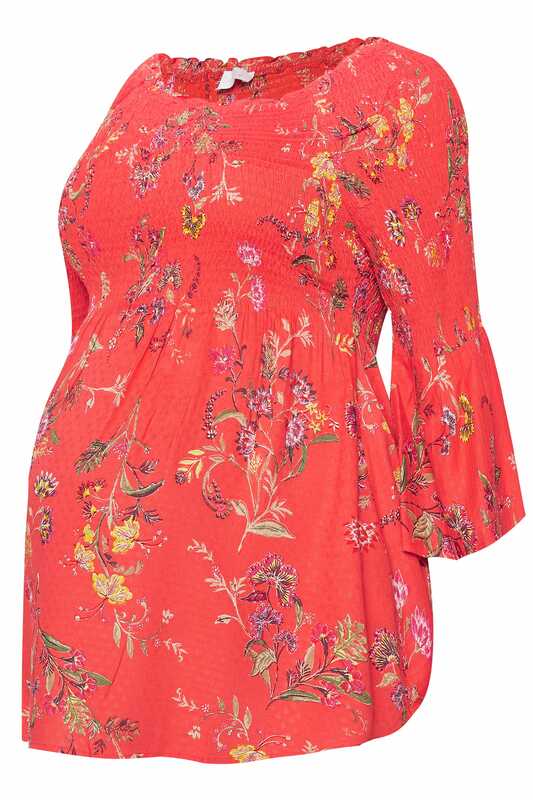 Elevate your maternity wear with this floral printed top from our Bump It Up collection. 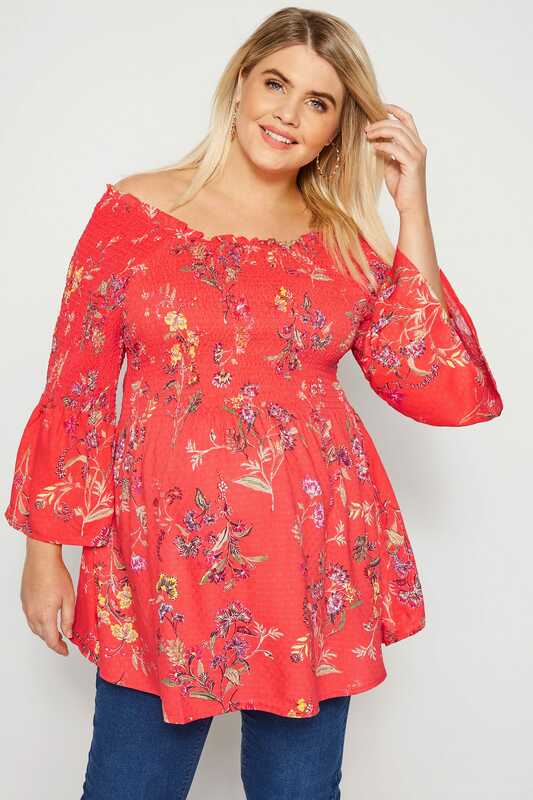 Designed with a versatile shirred top and elasticated neckline, the woven fabric then lightly drapes over you and your bump for a flattering finish. 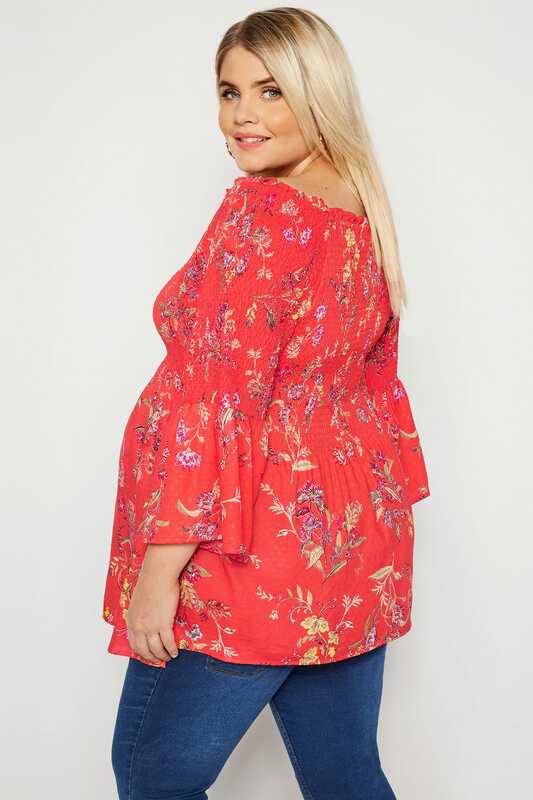 Complete with 3/4 flute sleeves and a textured dobby fabric, just add skinny blue jeans and sandals for an effortlessly chic off-duty look. 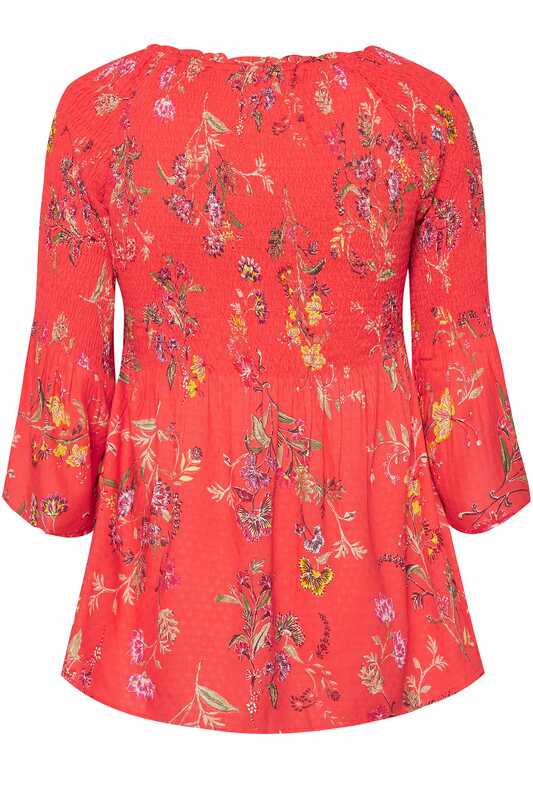 Stylish and versatile, this top can be worn throughout your pregnancy.